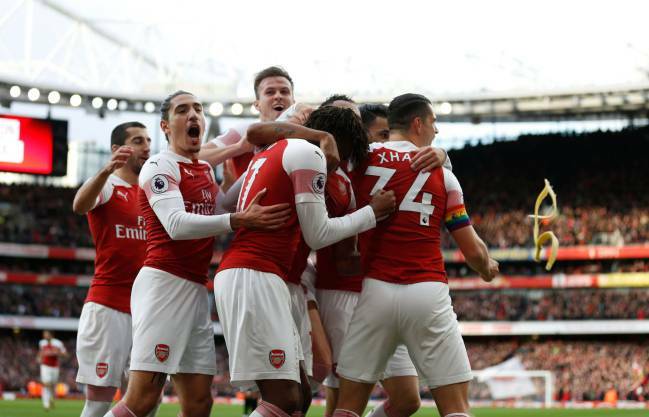 The English Football Association has alleged Arsenal and Tottenham "failed to ensure their players conducted themselves in an orderly fashion". Arsenal and Tottenham have both been charged with failing to control their players during Sunday's north London derby by the Football Association (FA). The charge relates to events in the aftermath of Eric Dier's goal for Spurs during the first half of a match where Arsenal ran out 4-2 winners. England midfielder Dier headed in Christian Eriksen's free-kick to make the score 1-1 and ran off with a finger to his lips – making the "shush" gesture in the direction of the home supporters. 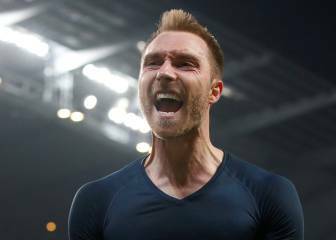 Tottenham's celebrations also took place in close proximity to the area of the touchline used for warm-ups by Arsenal's substitutes, some of whom took exception. 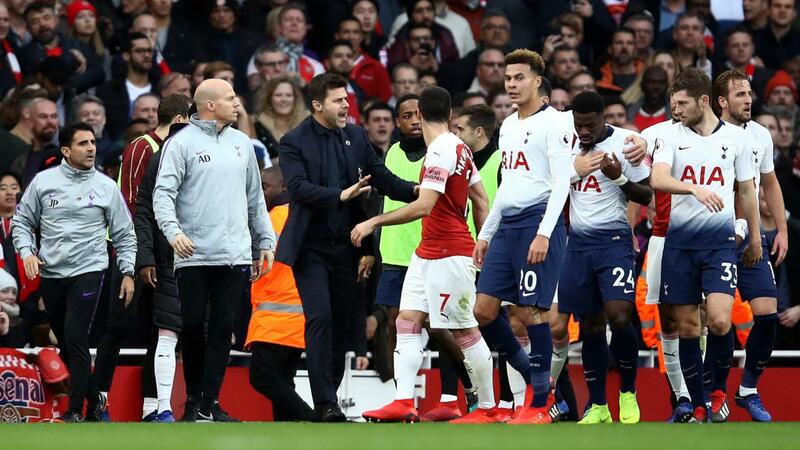 The result was a flashpoint involving both sets of players, with Spurs manager Mauricio Pochettino running down the touchline to try and act as peacemaker. A statement issued by the FA read: "Arsenal and Tottenham Hotspur have been charged following their game yesterday. It is alleged that in the 32nd minute, they failed to ensure that their players conducted themselves in an orderly fashion." Both clubs have until 18:00 GMT this Thursday to respond to the charge, which adds to the fallout from a Premier League game that was played out in a highly charged atmosphere. Metropolitan Police confirmed to Omnisport that seven arrests were made, including one for throwing a missile onto the field of play at Emirates Stadium. Television replays showed a banana skin on the pitch as Arsenal celebrated their opening goal, scored by Gabon international Pierre-Emerick Aubameyang from the penalty spot. Tottenham have pledged to issue a ban to the supporter concerned. A club spokesperson said: "Behaviour such as this is completely unacceptable and the supporter in question will be issued with a ban." 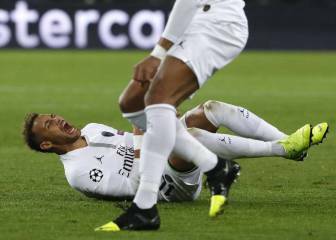 Speaking ahead of Monday's Nations League Finals draw, UEFA president Aleksander Ceferin called the act of a fan throwing a banana skin towards Aubameyang as "a disaster". 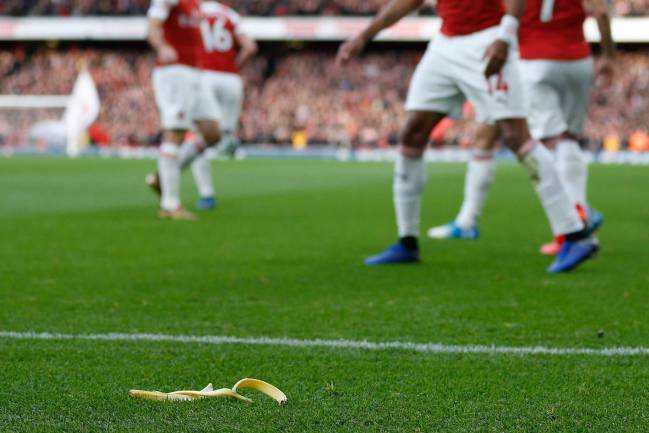 In a statement, equality and inclusion campaign group Kick It Out said: "Our latest reporting figures show incidents of racism are on the rise and the banana throwing at #NLD [the north London derby] should be seen in that context. "We condemn this action [and] welcome the police investigation. The person who did this should be banned from football for life." James: "If I have to go, I will go"
Neymar play-acting "is what people will remember"
CHAMPIONS LEAGUE Setién: "It saddens me to see people mock Pep Guardiola"